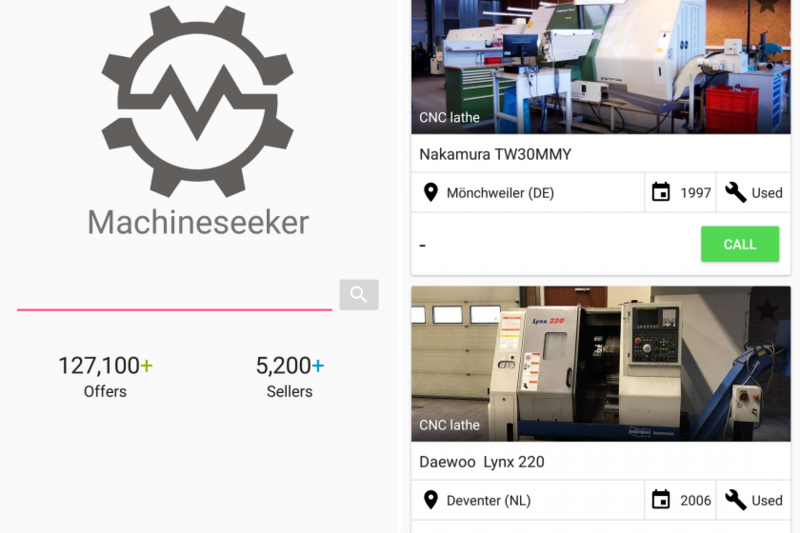 Machineseeker, the world’s largest online marketplace for used machinery, released its international app onto the market at the beginning of 2017. The Machineseeker app is now available worldwide, free of charge and in eight different languages. The German-language app from the company from Essen for Apple and Android smartphones has already been available since September 2016. More than half of the dealers on the platform are already using the free app. “The digitisation of the industry was slow at first, but that has made it all the faster now,” says Thorsten Muschler, Machineseeker founder and CEO. Dealers receive enquiries from prospective buyers immediately, as a push message on the display of their phones. It’s a sales revolution. “Sellers can phone interested parties immediately, while they are still looking for a machine. Our customers are very impressed by how fast it works,” explains Muschler. More than a third of all users were already using smartphones or tablets to visit the online marketplace. The Machineseeker app has made mobile access much more time-efficient for both sellers and buyers. The app was developed for iPhone and Android phones and is available free of charge through the App Store and Google Play.